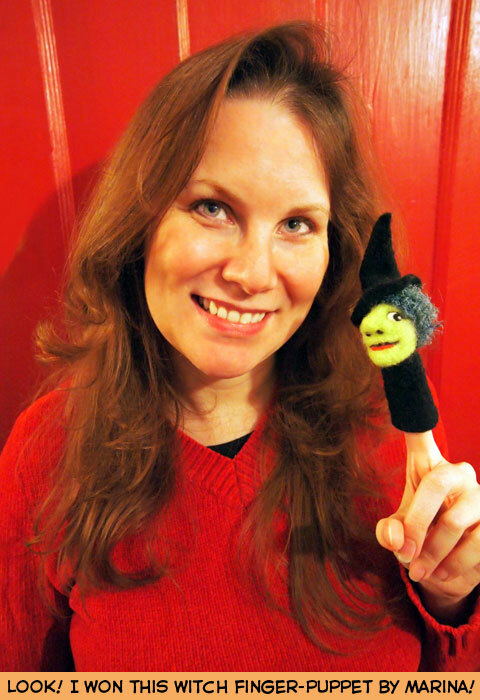 I Won a Needle Felted Witch Finger Puppet! 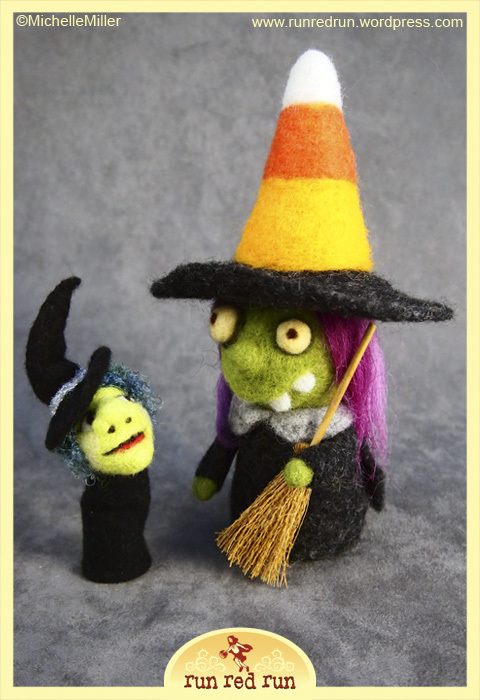 A little while ago, a fellow-needle felter and friend, Marina, over at marinsfieltro.wordpress.com had a giveaway to celebrate reaching 500 followers on her FaceBook page facebook.com/MarinsFieltroArteLana and I won the awesome Needle Felted Witch finger puppet that she made! Her name is Marlane and she traveled all the way from Barcelona, Spain! My felted witch, Helga, had a chance to meet Marlane and I think they’re going to end up being great friends (and cook up some spells together)! Thanks Marina for sending Marlane! I will cherish her and give her a good home. Thanks Melanie! I was really excited to win her, she’s awesome! Congratulations on your win! Those two look great together, Michelle! Thanks Joseph! They do look great together and seem to be great friends! Thanks Michelle for sharing this post, for the lovely words and Marlene’s pics! I can see that she is so happy now in her new home, and with her friend Helga! Thank YOU Marina! And congrats on getting 500+ followers on your Facebook page!